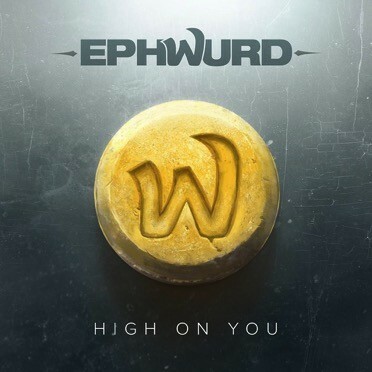 Bass-jacking duo Ephwurd offer their latest free download ‘High On You’. The track leads with saturated synths and thumping percussion progressions before introducing its female vocal sample bellowing “I wanna get high on you” atop the type of elastic bass breakdown that’s come to define Ephwurd’s sound. ‘High On You’ follows a string of releases for the tandem. From remixing Oliver Heldens and Shaun Frank’s Beatport track ‘Shades Of Grey’, featuring Delaney Jane, to partnering with ETC!ETC! to rework Major Lazer’s ‘Lean On’, Ephwurd’s bass wubs have permeated the scene since the pair’s inception this summer. The duo’s profile increased when their collaboration alongside Jauz ‘Rock The Party’ became a festival staple for artists like Skrillex, Diplo, Axwell & Ingrosso and Hardwell amongst others, and soon after they gave fans a taste of their solo flavour by releasing their first original work ‘Duckface’ on Spinnin’ last month.